September is the month for plums. 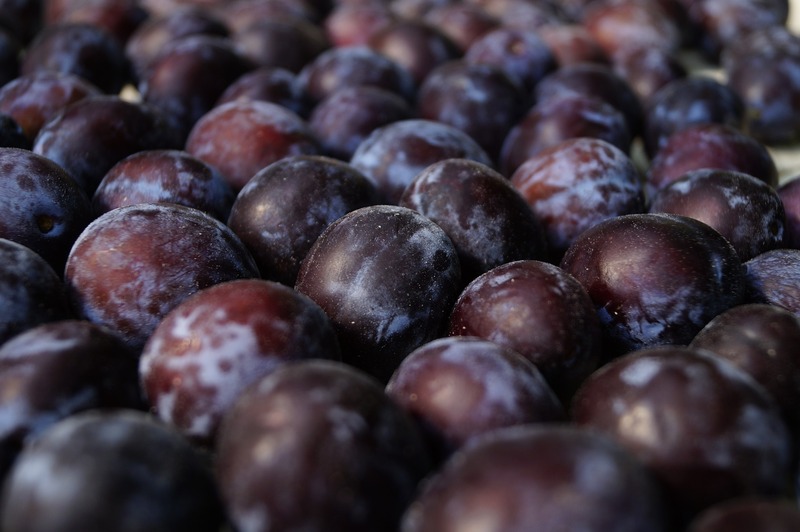 Big, juicy Victorias and purple-hued damsons are arriving in the stores to be converted to plum jam, spicy plum paste, plum chutney and rounds and rounds of plum cake. But towards the end of the month, when it grows darker and there's a chill in the air, plum crumble often makes its appearance on the dinner table. There's nothing more delicious or more comforting than a good crumble. Plum (actually damson) crumble is my favourite, with blackberry and apply crumble coming a close second. It also helps, of course, that crumbles are dead easy to make and don't take up too much of your time. Assemble, shove in the oven and forget... until the wonderful smell reminds you of the delight waiting at the end of dinner. I tend to start my crumble making endeavours with a pound (500g) of plums. A few more won't hurt. Wash them well. Stone the plums and cut them in half. Place in a baking dish. If your fruit is very tart, sprinkle with 1-2 tablespoons of sugar. If, on the other hand, your plums are very ripe and have little acidity, add some lemon juice. Crumble is very much a dish that you make the way you love it best. In a separate bowl rub together 2 parts white flour with 1 part butter and 1 part sugar until the mixture resembles fine crumbs. 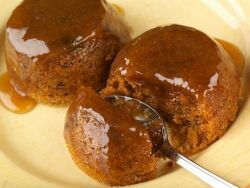 This can be done very quickly using food processor or mixer. The actual quantities for your topping depend on the size of your baking dish. Mine takes 200g flour / 100g butter / 100g sugar. To make the topping crunchier, you can replace 50g of the flour with 50g ground almonds or 50g fine semolina. A handful of porrigde oats in the mix don't go amiss either. Actually, when it comes to plums, they seem to work exceptionally well. Cover the fruit with the crumble mixture and bake in a medium oven (180°C or so) for about 30 mins. 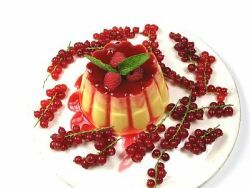 It's ready when the topping is golden and crunchy and the juices from the fruit have started to bubble through the crust. The Best Dish for Making Crumble? There's a bit of an argument here amongst crumble aficionadoes. Some like a really deep layer of fruit with just a bit of topping, others prefer the crunchy pastry, speckled with caramelised fruit juice. 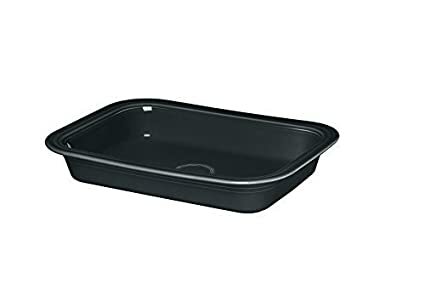 Personally, I use a medium-sized ceramic baking dish for my rhubarb crumble. I place the fruit tightly but almost in a single layer and cover it with a thick layer of crumble topping. 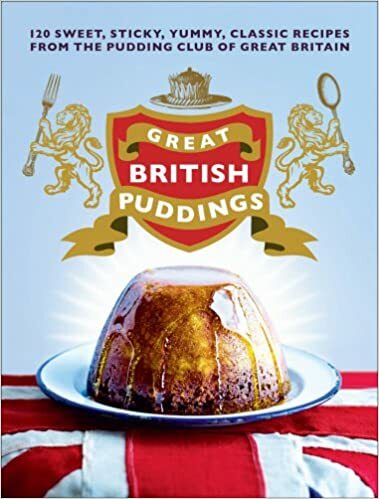 Need more ideas for tasty puddings? Why not check out the recipes page?.